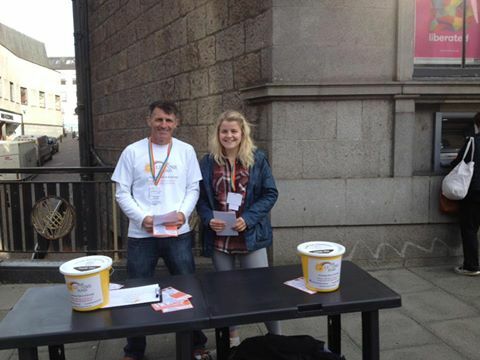 The Leanne Fund is expanding its services to the Grampian region and so we were in Aberdeen this week to spread the word. A gap in the support service for CF patients was identified in the Grampian region and so The Leanne Fund, which currently covers the Highlands and Islands, will utilise the funding to take forward a three year Development Project. The Leanne Fund Development Project includes plans to support those affected by Cystic Fibrosis with fitness plans and equipment; counselling; complementary therapies and the administration of small grants and crisis funds.